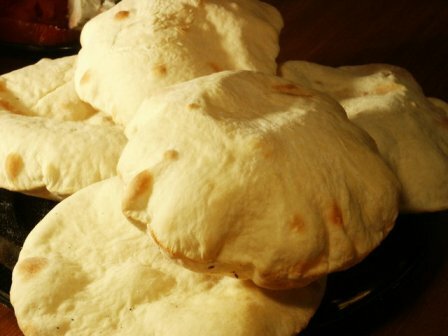 Sunitha from South Africa wrote, asking for stuffings for flat Middle Eastern-style pita breads. Combine in food processor. Olives and greens served separately. Combine. Spread on open pita bread and place under the griller. Toast the open pita bread, layer with ripe pears and the cheese spread.